Looking for love with amputee guy or amy other guy interested in long term relationship where there is chemistry . The first photo on my profile taken 19 th September 2018 and is most recent photo . 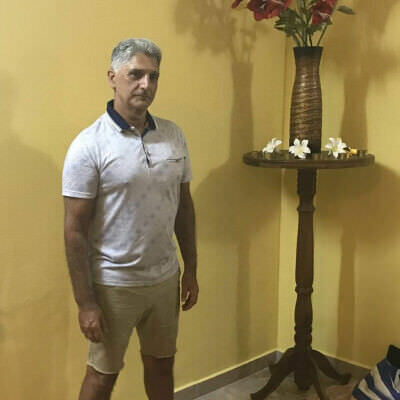 Al photos taken in my room in Negombo Sri Lanka were taken in September 2018 . Photos range from. 2012,, 2015 2016, 2017 , 2018 . I also like guys who are not disabled , where there is chemistry. I like ( chubs) or super chubs ... I have a preference for older men and I don’t like playing role of daddy to younger guys ( but if younger ) is mature and committed I will co sider but it’s not my preference . Younger guys just do not understand me and I generally find they are very high maintenance ! Looking for. I am into faces and a handsome Face will get me every time . I would like to meet an amputee but open to meeting able bodied. i prefer 40 plus but will consider younger if mature. i generally find younger guys high maintenance. ( but there are of course individual differences) . CNN ALJAZEERA BBC WORLD , Britain got talent . SO YOU THINK YOU CAN DANCE , GAY SHORT FILMS , NETFLIX , revert SNAG , YOUTUBE IS MT NUMBER ONR FAVOURITE. Trip to bountiful ( 1987 ) Geraldine page. Brian macnight , boz scaggs , Joni Mitchell , I am CRAZY , about maddie poppie ( American idol. Jenifer Hudson , Ella Fitzgerald , Lois Armstrong , Bobby Caldwell David Loz . Being with my lover and sharing life . The simple things of life make me the happiest . I like to have an equal relationship , but I enjoy the career role , in a relationship ( not to say ) that I don’t enjoy receiving as well . I have had 2 long term relationships ( which left me feeling dissastisfied) . Would be nice to experience a fulfilling relationship before i depart this earth . ( and wish the same for others too ) . Humbleness and gratefulness are attractive to me . I do not care for Any of the above . !